SyncSing HD, Other software for iPhone / iPod Touch / iPad from SyncSing. 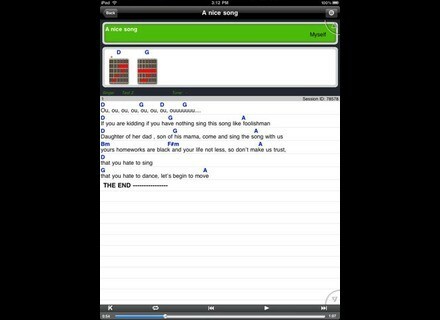 This program came out on April, 3rd 2010 on App Store and iTunes and is designed for guitarists, singers, pianists and other musicians. 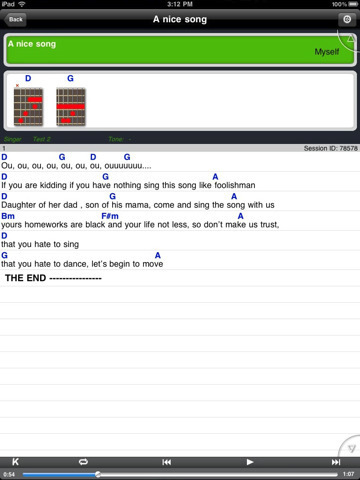 SyncSing HD is the iPad version of SyncSing, a share and play application for iPhone, designed to allow performers and students to import, read and manage their scores and music sheets and carry and share them with other users of the application. SyncSing HD (iPad version) is free on the US App Store: itunes.apple.com/app/syncsing-hd/id364895552?mt=8. Blue Cat Updates Dynamics & Protector Blue Cat Audio has released a new version of its dynamics processing audio plug-ins, Blue Cat's Dynamics and Blue Cat's Protector. AAS Updates Lounge Lizard EP-3 Applied Acoustics Systems releases the Lounge Lizard EP-3 v3.1.4 update for Windows. MOTU Updates Digital Performer 7 Digital Performer 7.11 is now shipping: If you own Version 7, you can download the free Version 7.11 updater.